Cross-border advocacy in national and provincial energy and climate policy initiatives is one part of the approach that sets Acadia Center apart. This work includes sharing best practices, participating in regulatory hearings, and coordinating initiatives across provinces and states. From our office in Ottawa, Acadia Center participates in national and provincial energy and climate policy initiatives. The 2012 study Energy Efficiency: Engine of Economic Growth in Canada attracted the attention of policy makers and stakeholders as groundbreaking analysis of macroeconomic benefits. This widely used policy resource shows the growth in GDP, jobs, and customer savings that result from investing in cost-effective efficiency.Acadia Center has since completed a Canada-wide version of the study—Energy Efficiency: Engine of Economic Growth in Canada (2014)—which is a key resource for understanding the significant economic impact potential of efficiency at the provincial and national level. The “Engine” studies have also been featured in a recent International Energy Agency (IEA) publication: Capturing the Multiple Benefits of Energy Efficiency (2014). Acadia Center is part of a coalition of organizations and businesses working to advance carbon pricing in Ontario. This work builds on prior engagement in government cap-and-trade consultations in Québec and British Columbia. As one of the original stakeholders in the Regional Greenhouse Gas Initiative (RGGI) cap-and-trade program, Acadia Center brings a wealth of policy and program design experience to carbon pricing discussions. Most recently Acadia Center produced a backgrounder on the RGGI experience for Canadian policymakers and other stakeholders: Regional Greenhouse Gas Initiative – A Successful Carbon Pricing Program. 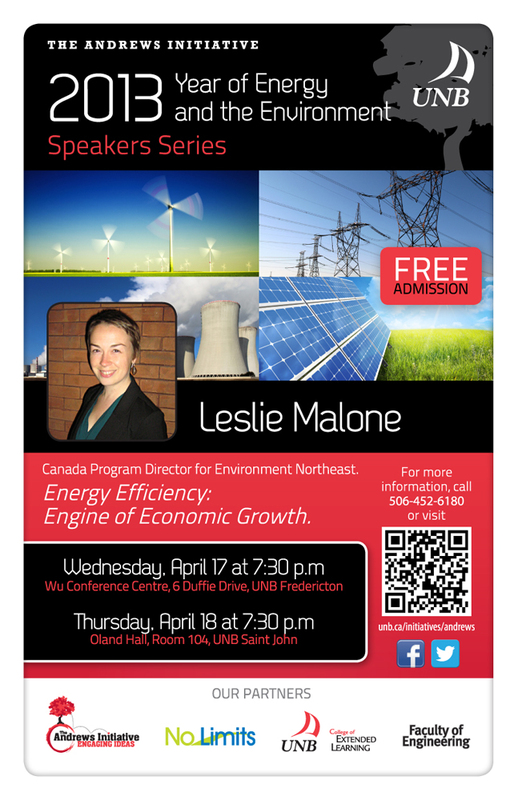 The province of Nova Scotia is an energy efficiency leader in Canada and has emerged as an important case study for other provinces seeking to advance energy efficiency efforts. Acadia Center was involved in stakeholder discussions that established the initial utility Demand Side Management plan and Efficiency Nova Scotia. Acadia Center continues its involvement in the province through sharing best practice information, publishing op-eds on the benefits of green energy use, and recently intervened in Nova Scotia Power’s 2014 Integrated Resource Plan process. Acadia Center’s Canada Program Director has appeared as a witness before the Parliament of Canada’s the Standing Senate Committee on Energy, the Environment and Natural Resources and supported testimony before the House of Commons Standing Committee on the Environment and Sustainable Development; provided lectures as part of the University of New Brunswick’s Andrews Initiative 2013 Speakers Series (Year of Energy and the Environment); and, regularly represent Acadia Center at regional events, including the Canadian Energy and Mines Ministers’ Conference and the New England Governors and Eastern Canadian Premiers annual meetings.